When I told my Alverno College advanced media and journalism instructor that I was looking for an internship, she wasted no time connecting me with Chelsea Kelly, the Milwaukee Art Museum’s Manager of Digital Learning. I am not an Art Major or Education Major, but I knew immediately that I wanted to be Chelsea’s digital learning intern. I quickly learned that my CMT (Communication, Management and Technology) Major would definitely guide me for the tasks she had in mind. I am interning for Chelsea while she is building a MOOC (Massive Open Online Course). These courses are available to anyone online, and the Museum received a special grant to develop a course. This one in particular was about getting to look at art in a different way. 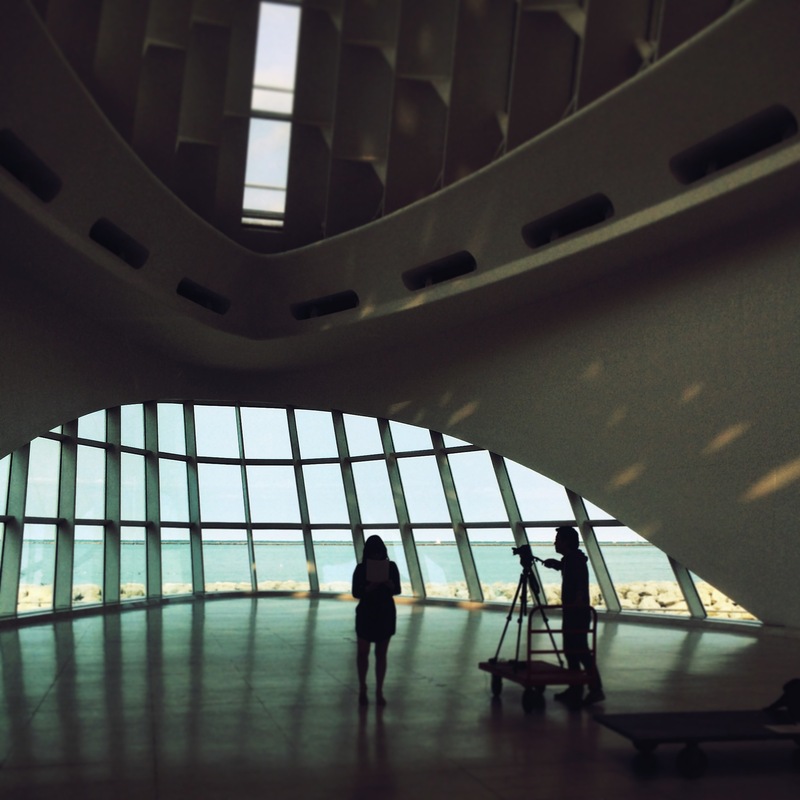 I know this must be shocking to hear from a Milwaukee Art Museum intern, but growing up my favorite form of art wasn’t actually paintings, sculptures or photography–it was dance. I had very little knowledge of art or its history, which actually made me the perfect candidate for interning for this MOOC: I love museums, but I never knew how to interpret it. 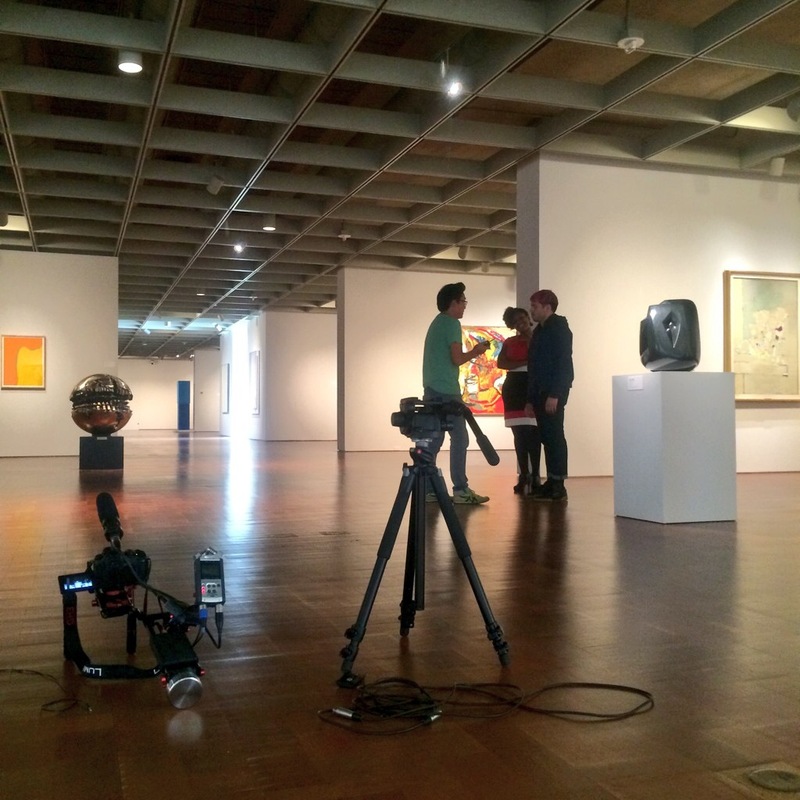 Working on this MOOC has made me look at art differently. Part of my internship was beta testing the course, which means I was tasked with looking over various units and trying them out. I had to do things like find a painting to introduce myself with, find a painting for a friend, and find an artwork based on a certain prompt. My favorite task was introducing myself through art, as it lead me to discovering my now-favorite art work, The Little Mermaid Thinking of the Prince by Chihiro Iwasaki. The task that most made me look at art in a new way, though, was when I had to find four paintings: one that I like, one that I hated, one that I thought took a lot of time to make, and one that I wanted in my house. I saw these pieces differently, and I became curious as to why I had the reactions I did. Despite not knowing much about art itself, this internship was well within my skill set. Having knowledge and skill from my studies in communication, management and technology really aided me in these tasks. In the past, I knew how to film, edit and publish videos, even putting one on a Wikipedia page. I had no idea, however, how professional filming worked. I had the opportunity to aid Chelsea while she was being filmed for the official course videos. The videographer was Ray Chi, an and a multimedia content developer. I love everything to do with media and multimedia so it was a thrill to see him work. I aided him by helping move the camera and helping Chelsea with her lines. I learned so much about angles, lighting, motion on camera, and different ways keep videos interesting. Building a course is not just about the outcomes–it is also about finding students for your class. I was able to put my management skills to the test by finding various ways of advertising for this MOOC. The first thing I did was research MOOCs and other companies/universities offering online courses. After carefully crafting the right questions and finding the perfect people to contact, I sent out two emails to other museums who offer MOOCs. This was a great experience for me: I have written professional emails before, but I never wrote one where I was writing as an intern working on specific projects. 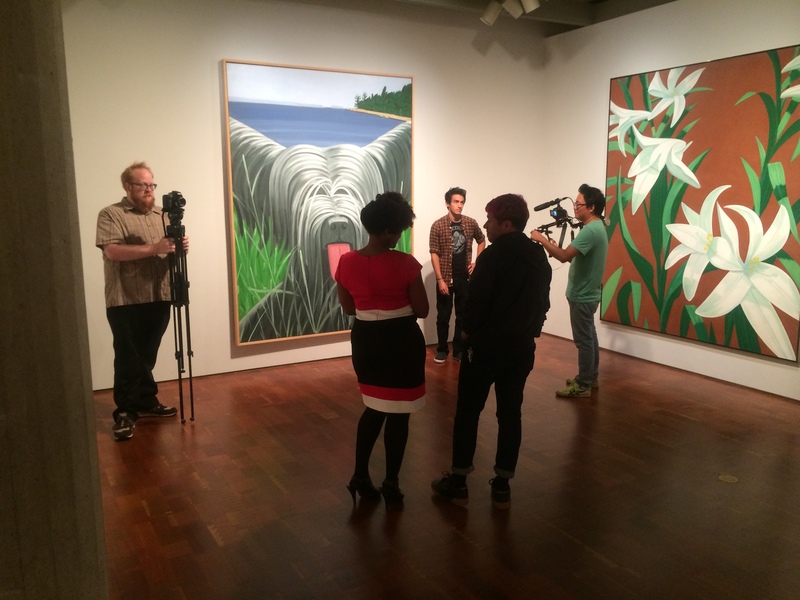 I also had a meeting with the Museum’s Public Relations Manager, Kristen Settle, where I used my background in journalism to interview her about how she thought we could advertise this MOOC. In this interview, I gained a lot of insight on the inner workings of PR and advertising. Thanks to her answers and the responses to my emails (along with some ideas of my own), I was able to report on many ideas about how to advertise the MOOC. Working for Chelsea this summer was an experience that I am so happy came to me. It had been a long time since I had worked in a business setting and I could not have asked for a better place. This project was a great opportunity for me to be able to use the skills I have gained from Alverno College in a professional environment. The nervousness I felt about my skills grew into confidence. 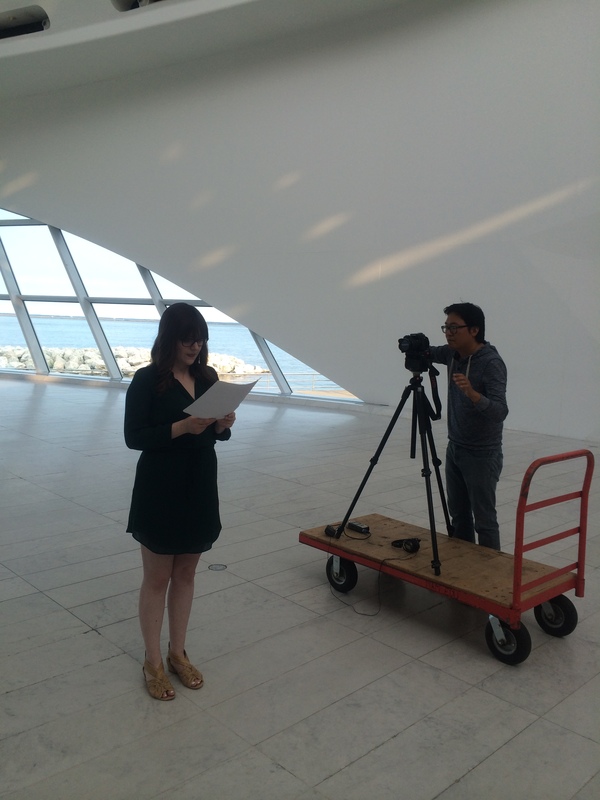 And I am happy to say that my work with the Milwaukee Art Museum is not over yet. My internship will continue on into the fall. I look forward to continue working with Chelsea, and expanding my skills even further. This entry was posted in Behind the Scenes, Education and tagged digital learning, Interns, mooc, online course. Bookmark the permalink.